When life is moving very fast it can feel as if we are hamsters on a wheel. It is easy for the body and mind to feel overstimulated and, with that, feelings of tension rise. 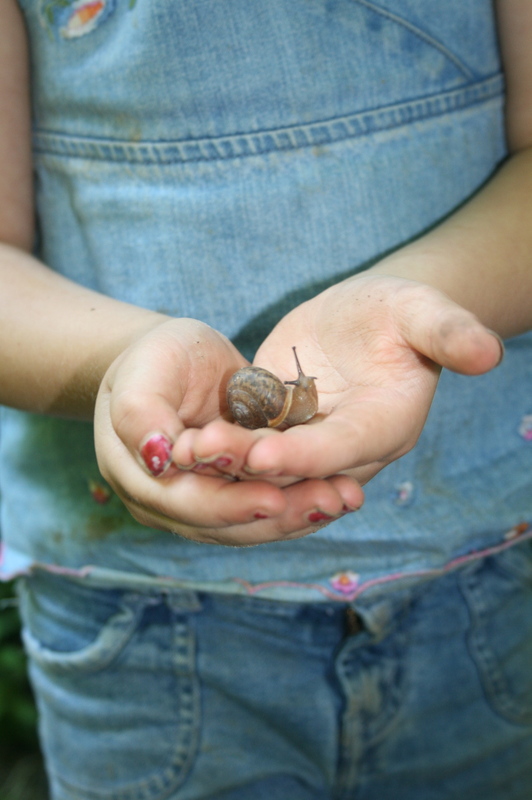 Invite your child to activate the snail principle with you today! Moment to moment, give yourselves permission to slow down, breathe, and notice the world around you. The snail principle can calm down the “do” in your life and add some time to just “be.” When speed begins to return, as if on autopilot, gently remind yourself and your child, “I activate the snail principle! I remember to slow down, breathe, and watch.” Pretty soon, with practice, you will be able to simply say, “snail!” and your body and mind will automatically respond. Snails have plenty of time to notice the world around them. For extra fun, draw a picture of what your “snail” sees, including as much detail as possible. Post little “snail principle” reminders around the house. Enjoy the world from a snail pace!